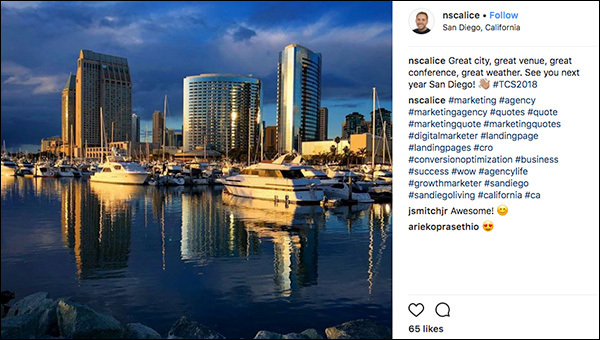 Every year, thousands of the world’s smartest marketers descend on San Diego, California to learn what’s new, what’s hot, and what’s actually working RIGHT NOW in digital marketing at Traffic & Conversion Summit. 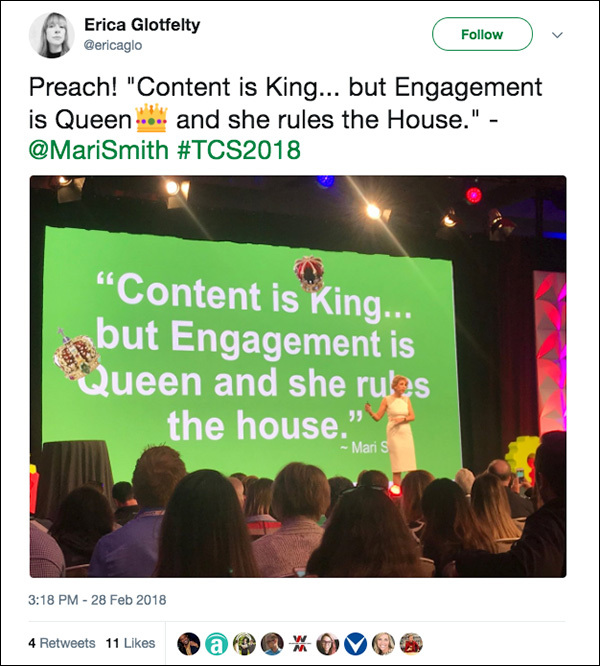 Today, we’re sharing the top takeaways from Traffic & Conversion Summit 2018 attendees, so you can learn the highlights and actionable marketing strategies of the Summit. From Mari Smith to Daymond John to our own Ryan Deiss, our speakers dropped some biggies throughout the conference. If you weren’t able to attend, check out what you missed. If you were, let’s recap! 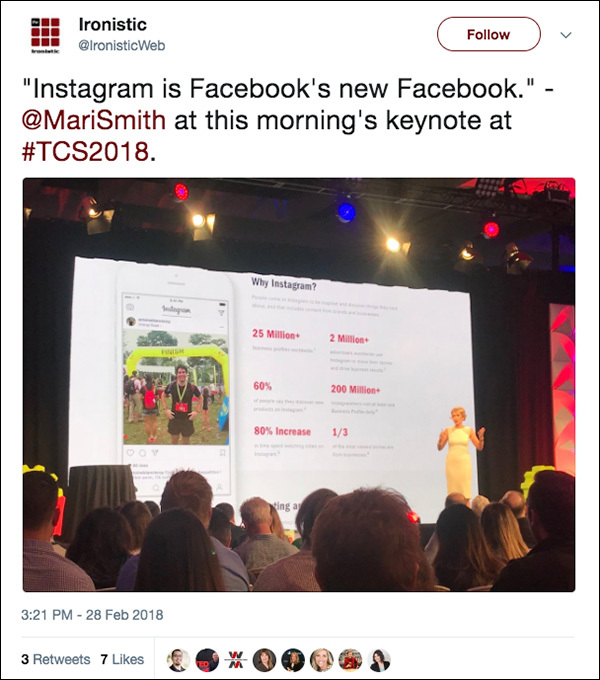 It’s no secret that marketing is changing…fast. To successfully market to your audience, you’ll need to start a conversation with them. Just like you would at a coffee shop. 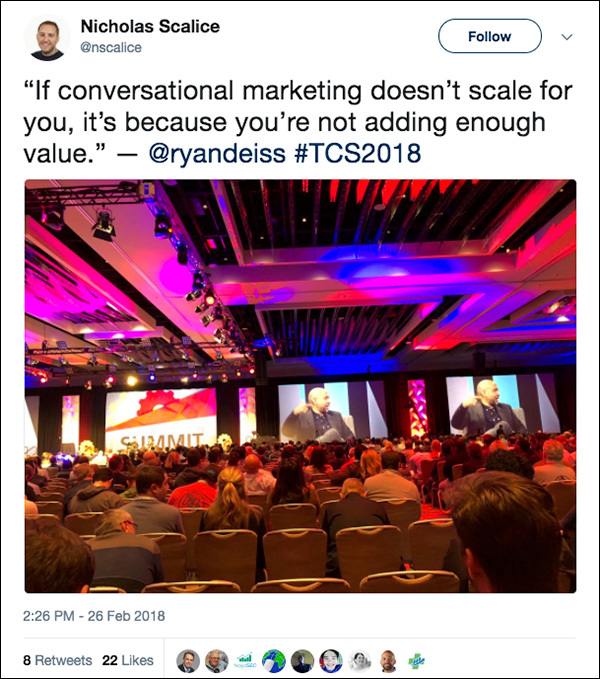 This is conversational marketing. One way to have that conversation is through messaging bots. 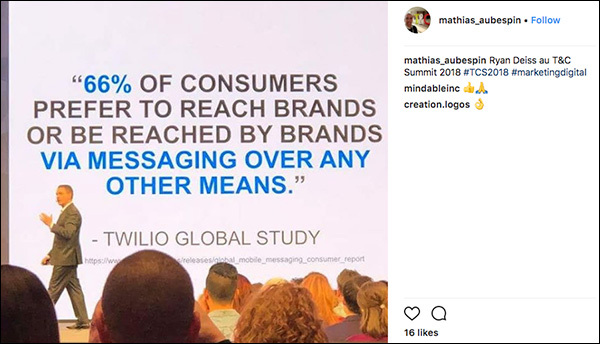 And it turns out, messaging is how most consumers prefer to communicate with a brand. 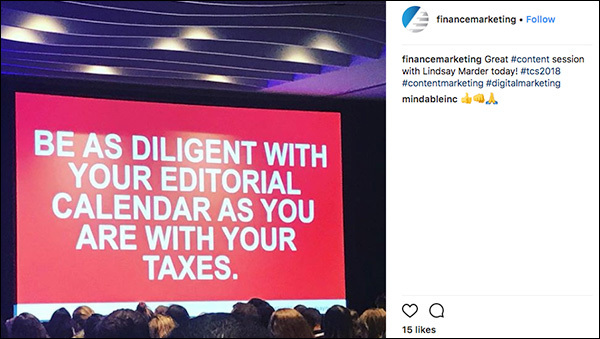 And using messaging will generate conversions. 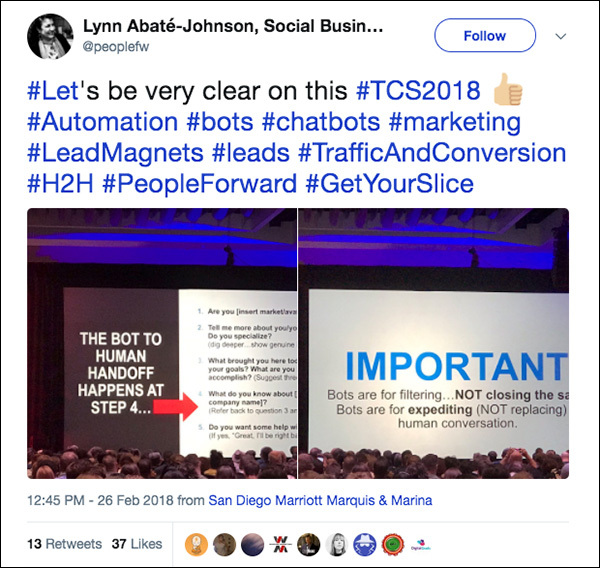 But remember, bots are for filtering, NOT for closing the sale. 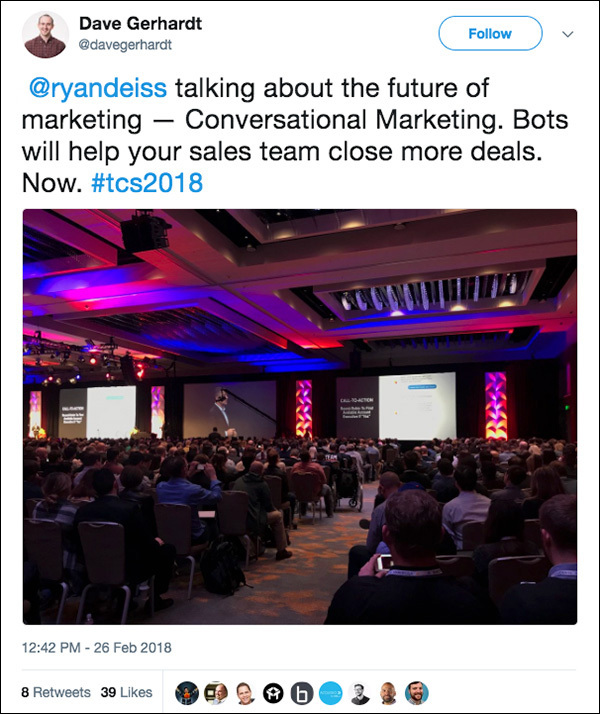 Bots are for expediting (NOT replacing) human conversation. 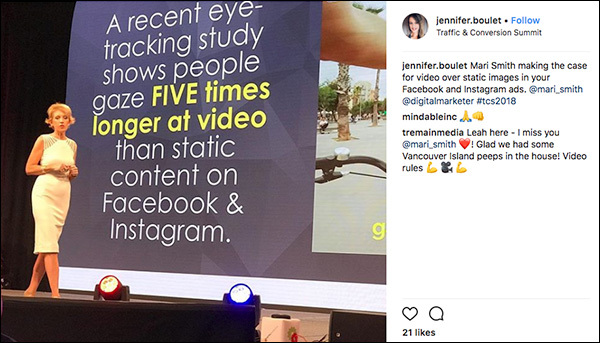 And video marketing has become more important than ever for the modern marketer and business. We even held a contest asking attendees to share their biggest takeaway in a 30-second video. Jonathan Teixeira took the grand prize of a PlayStation VR, PlayStation 4, and a ticket to Traffic & Conversion Summit 2019! 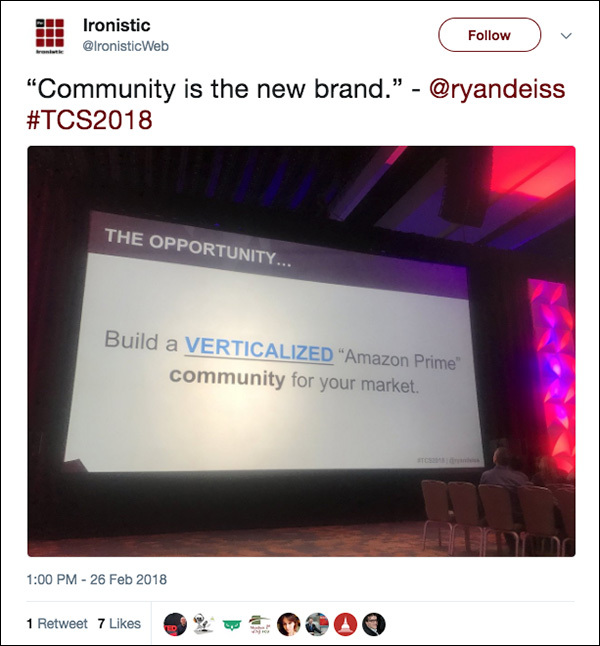 Learning lots here at the Traffic and Conversion Summit and one of my biggest takeaways was from Ryan Deiss “Stop defining your business by the products you sell and start defining it by the people you serve”. Our customers are so important and we always need to remember this! When we take time to get to know what journey they are on and where they want help, that’s when we can add real value to their lives and in turn business will grow organically. 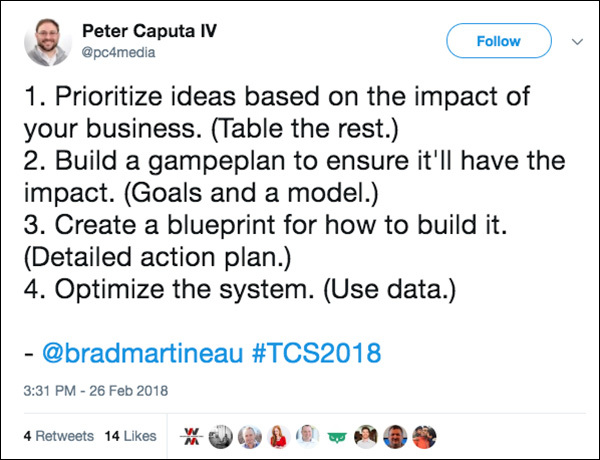 #tcs2018 @digitalmarketer So what can you do to define your business by the people you serve? 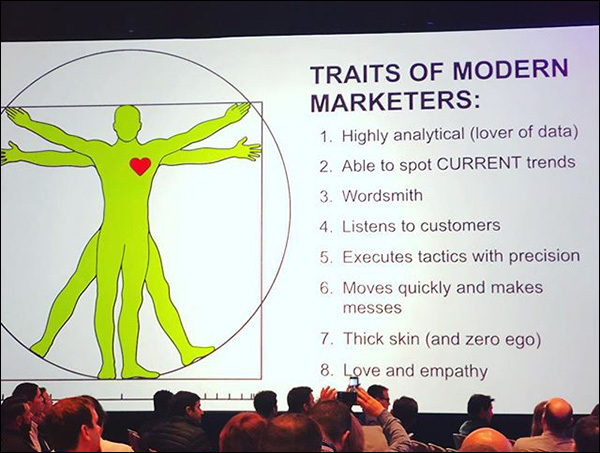 To everyone who attended Traffic & Conversion Summit, thank you all! Thank you for spending time with us. We hope what you learned will help you double the size of your business and help others do the same! 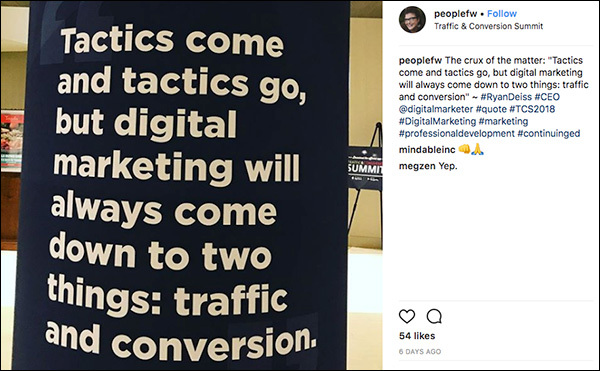 The post 21 Top Takeaways from Traffic & Conversion Summit 2018 that Every Digital Marketer Can Use to Help Grow Their Business appeared first on DigitalMarketer.